With dynamic, distributed, and modular infrastructure, how do IT operations teams gain the right operational visibility for detecting, diagnosing, and fixing performance issues at scale? Enterprises need actionable insights and programmatic control for digital services that lets them improve business outcomes, avoid disruptions, and optimize customer journeys. 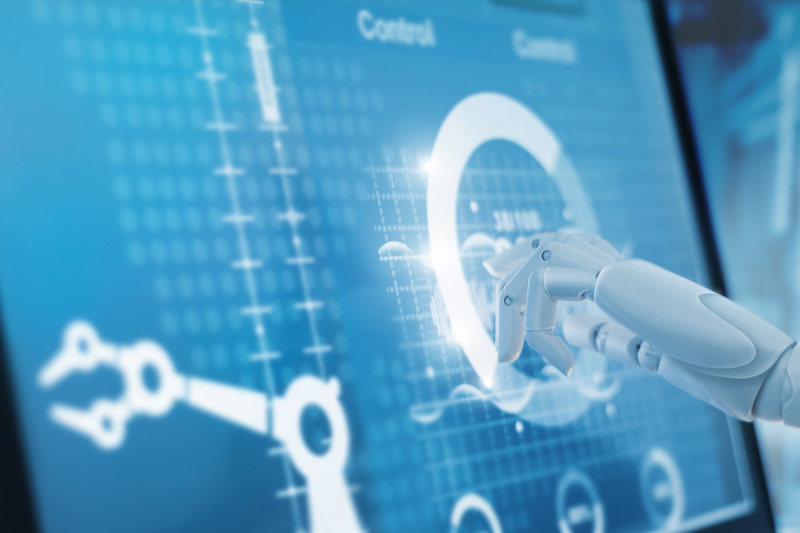 OpsRamp delivers application-aware, hybrid IT infrastructure monitoring that lets digital operations teams maintain service uptime and availability with the right metrics. Monitoring metrics in OpsRamp combine real-time and historical resource data for continuous visibility, workload optimization, and resilient IT infrastructure. OpsRamp provides hundreds of out-of-the-box IT infrastructure monitoring templates that capture behavioral and performance metrics for applications, servers, networks, storage, and database instances across hybrid environments. Combined with powerful AIOps capabilities, modern IT operations management teams can leverage both native monitors (pre-built monitors for managing IT infrastructure) and custom monitors (user-defined monitors for specialized workloads) for proactive management and responsive troubleshooting. Enterprise Applications. Monitor popular enterprise applications like Exchange, Active Directory, SharePoint, Docker, Apache, Hadoop HDFS, Kafka, Redis, and Spark in a centralized platform. Operating Systems. Efficiently manage system performance and ensure improved availability for Windows and Linux servers. Hypervisors. Avoid availability issues for virtual machines from VMWare and Citrix with real-time host and guest VM monitoring. Public Cloud. Monitor, manage, and optimize public cloud infrastructure and platform services from AWS, Microsoft Azure, and Google Cloud Platform. Enterprise Storage. Gain visibility for status, capacity, and performance metrics of storage devices from Dell EMC, NetApp, HP, Hitachi, and IBM. Network Infrastructure. Resolve performance issues for network equipment from Brocade, Cisco, Dell EMC, F5 Networks, HP, Juniper, NEC, and Palo Alto Networks. Database Systems. Tune database performance and reduce the administrative load for enterprise databases like SQL Server, MySQL, PostgreSQL, MongoDB, and CouchDB. Performance Monitors. Performance monitors aggregate system health for Windows and Linux compute environments. 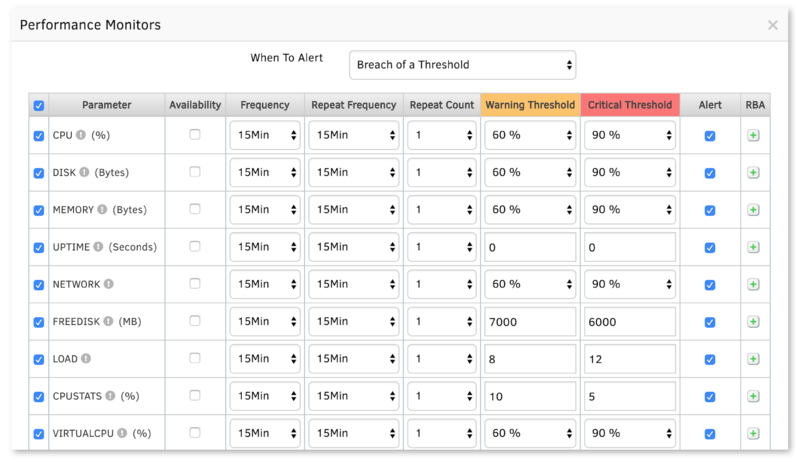 Receive the right performance alerts every time by selecting relevant metrics and defining warning and critical thresholds for alert conditions. Figure 1 – Performance monitors deliver instant notifications when a particular operating system service fails. Application Monitors. Application monitors manage the status and performance of enterprise-grade commercial and open source applications. OpsRamp manages a diverse ecosystem of enterprise apps across multiple versions, locations, and business units, with the right instrumentation for business-critical applications. SNMP Monitors. SNMP monitors offer rich insights for network and storage infrastructure with agentless polling. IT teams can ensure rapid detection of infrastructure outages and troubleshoot performance issues with the right event context using SNMP monitors. Figure 2 – Manage heterogeneous network and storage infrastructure resources with OpsRamp. Event Log Monitors. How do you capture, aggregate, and filter log patterns that help intuit and detect issues for both packaged and custom applications? Log monitors analyze and correlate event context and alert the right teams about application outages and service degradations in your IT environment. Service / Process Monitors. Enterprises typically have hundreds of processes and services that support core IT services, packaged applications, and custom apps. Process monitors track the health and performance of a process and drive quicker service restoration with intelligent alerting. Custom Monitors. Organizations build and deploy custom applications to fulfill business requirements. Custom monitors let users define the right set of metrics for a specific workload and then associate it with an alert threshold for real-time performance management. Figure 3 – Create custom monitors using different programming languages in OpsRamp. API Monitors. Modern infrastructure is all about API-driven interactions across both internal and external enterprise systems. OpsRamp’s API framework pulls data from public cloud platforms, software-defined infrastructure, and cloud-native services, aggregates relevant performance metrics, and manages the availability of dynamic workloads. See OpsRamp’s service-centric AIOps solution in action. Read the case study on how they helped Epsilon manage their legacy and modern infrastructure in a single platform.